Here is a story from Russia and it has nothing to do with hacking. And we thought that death by chocolate was just over-indulging on those rich and delicious desserts. 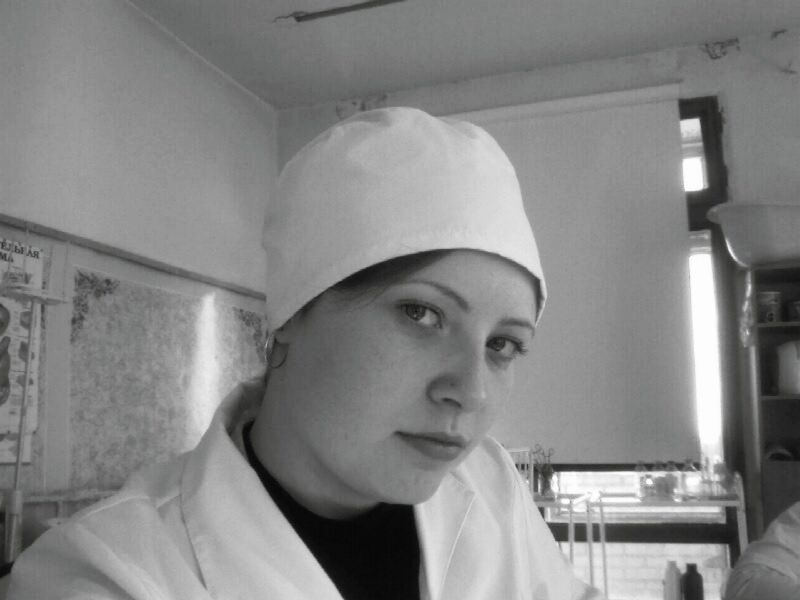 Sadly that was not the case for 24 year old Svetlana Roslina who was crushed to death as she tried to get out of the vat of chocolate at the factory in Fedortsovo, Russia. Just bizarre and terrible. She is survived by her husband and two children under five. Our prayers go out to her family and loved ones. Svetlana Roslina, 24, is believed to have been crushed to death as she tried to get out of the vat at the factory in Fedortsovo, north of Moscow. There are mixed accounts as to how she ended up in the vat with one witness saying she was emptying ingredients into the container while another said that she was trying to retrieve her mobile phone. However, other people have claimed she died while emptying ingredients into the industrial mixer. An investigation into her death is now taking place. She is survived by her husband and two children under five. THIS IS JUST BIZARRE … CAN SOME ONE EXPLAIN THIS VIDEO? Check out the video below of Hillary Clinton supposedly at a campaign stop in Greensboro, North Carolina. What is going on in this video? How is it possible that all of the cell phone cameras were not picking up anything on the stage, including when Hillary Clinton walked across it in front of them? Is the video doctored? Was the even doctored? The sad reality is … when it pertains to lying, crooked Hillary, no one can give her the benefit of the doubt anymore. Here is a supposed video debunking it. However, it doesn’t really. 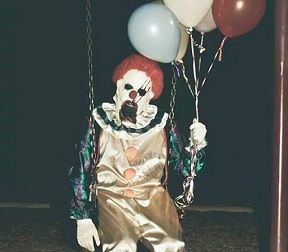 Daily Commentary – Wednesday, September 7, 2016 – Have You Heard the Crazy Story About the Creepy Clowns? They have been terrorizing towns in North Carolina trying to lure kids into the woods. TALK ABOUT YOUR BIZARRE STORIES … DOES A CITIZEN HAVE A RIGHT TO DEFEND THEIR HOME? 68 year old Nathaniel Johnson finds himself in some hot water as the alleged burglar he tied to a tree has died. According to the Washington County Sheriff’s Office in Alabama, around 10 p.m., Cleveland Gully broke the lock, and and was when Johnson tackled him to the ground, tied his hands behind his back and brought him to the tree. Washington County Sheriff Richard Stringer said, “He began to tie him to the tree still in the standing up position.” Stringer went on to say, that Johnson used electrical wire and rope from a clothesline to tie him to the tree and then masking tape, “multiple layers of masking tape that he had wrapped around his mouth and all the way around his head.” Johnson called police; however, when police arrived to the scene, the burglar was dead. The Washington County Sheriff’s Office is investigating the death of an alleged burglar who was tied to a tree by a homeowner. It happened on Spurgeon Road in Leroy late Friday night. The homeowner is still being questioned. “I would say this is a very unusual case,” said Washington County Sheriff Richard Stringer. Stringer has interviewed 68-year-old Nathaniel Johnson all night in the county jail. Deputies say his attempt to catch an alleged burglar went wrong, killing 31-year-old Cleveland Gully, who lives nearby. Gully’s uncle is in disbelief his nephew is gone. According to the story Johnson told deputies, his home had been robbed before, and he wasn’t letting it happen again. 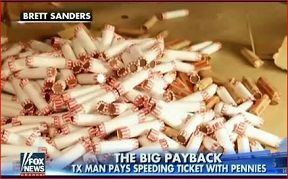 Daily Commentary – Wednesday, June 1, 2016 – Texas Man Gets A Speeding Ticket for $214. Not Unusual, Right? Until he decided to pay it in pennies!